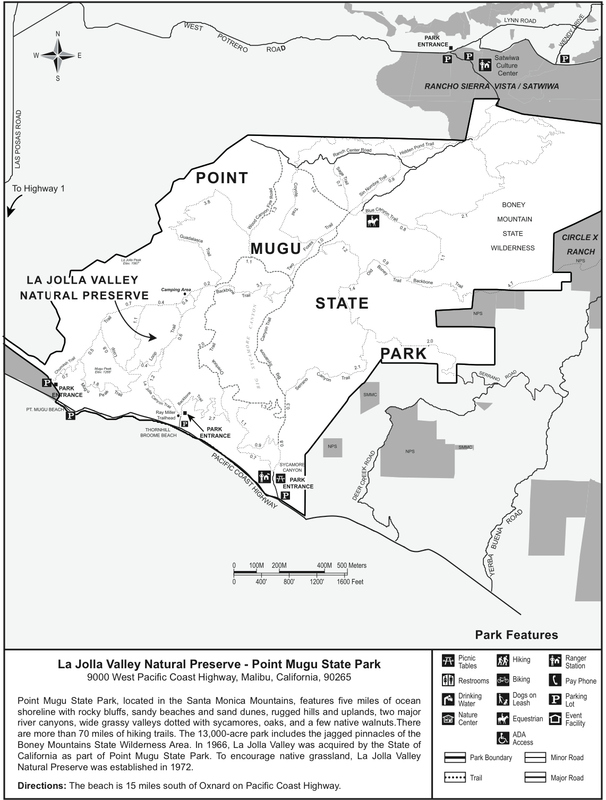 Sycamore Canyon Fire Road - Point Mugu SP is a 7.48 mile one way hike with 844 feet accumulated elevation gain. Located 47 miles east-southeast of Santa Barbara California. July and October are the best months to enjoy this hike.